Professor Chris Hankin of Imperial College London and City University London’s Dr Peter Popov will give talks on information security. City University London’s Centre for Software Reliability (CSR) will be showcasing its research at its annual public seminar on 8th July in ELG01, Drysdale Building, Northampton Square. The program will begin at 6pm. The evening will offer opportunities for professionals across different industries to network with each other. Information on the CSR’s Masters-level and CPD courses on Management of Information Security and Risk and Cyber Security will also be available to attendees. The keynote speech, “The Research Institute in Trustworthy Industrial Control Systems” (RITICS), will be delivered by Professor Chris Hankin. Professor Hankin will review the motivation behind the creation of this new Institute by the Centre for the Protection of National Infrastructure (CPNI) and will outline its key research challenges. He will give an overview of the activities of the Institute with a specific focus on the results of its work on defensive strategies which combine safety and security. Professor Hankin is a Professor of Computer Science at Imperial College London and the Director of the Institute for Security Science and Technology. His research interests span cyber security, data analytics and semantics-based program analysis. City - alongside University of Birmingham, Queen’s University Belfast, Lancaster University, and Imperial College London - is one of the constituent universities involved in RITICS. Reader in Computer Science, Dr Peter Popov, will give a research talk titled, “Modelling Critical Infrastructures (CIs) Resilience”. His talk will encompass recent advances in the probabilistic modelling of cyber attacks and their impact on critical infrastructures. The approach will be illustrated with examples of attacks on power transmission networks. Dr Popov is a Reader in Computer Science and is an expert in software dependability. Among his research interests, Dr Popov specialises in the interdependencies of critical infrastructures, software engineering, software reliability assessment, and software fault-tolerance. 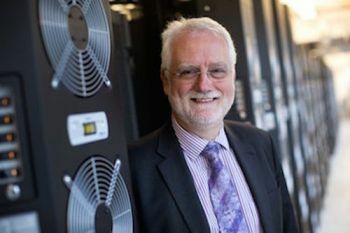 He is also a co-investigator on the £400k Engineering and Physical Sciences Research Council (EPSRC) research study titled “Communicating and Evaluating Cyber Risk and Dependencies (CEDRICS)”, whose principal investigator is Professor Robin Bloomfield. “We are very pleased to welcome participants to our annual research seminar on 8th July. The programme we have prepared is, we trust, of great interest to practitioners and academics in the areas of critical national infrastructure protection, cybersecurity, software reliability and safety. It will illustrate the increasing overlap between these concerns and showcase research advances in addressing them". Admission to this event is free, but all attendees are encouraged to register using this weblink. A probabilistic model is a statistical analysis tool that estimates on the basis of past (historical) data, the probability of an event occurring again.